At midnight tonight, this year’s Sale-a-Bration comes to an end! If you have that last minute item that you were thinking of getting, make sure you place your order in time. A couple items that have been on back order (the Butterfly Gala suite, as well as the Butterfly Duet punch) are available again. The new catalog comes out in a couple months, so soon we will know which items from THIS year’s catalog will be retiring, other than the 2017-2019 InColor suite. If there are items from that suite that you absolutely love (such as Fresh Fig or Powder Pink! ), order them now before they run out, because once that happens, those colors are gone for good. 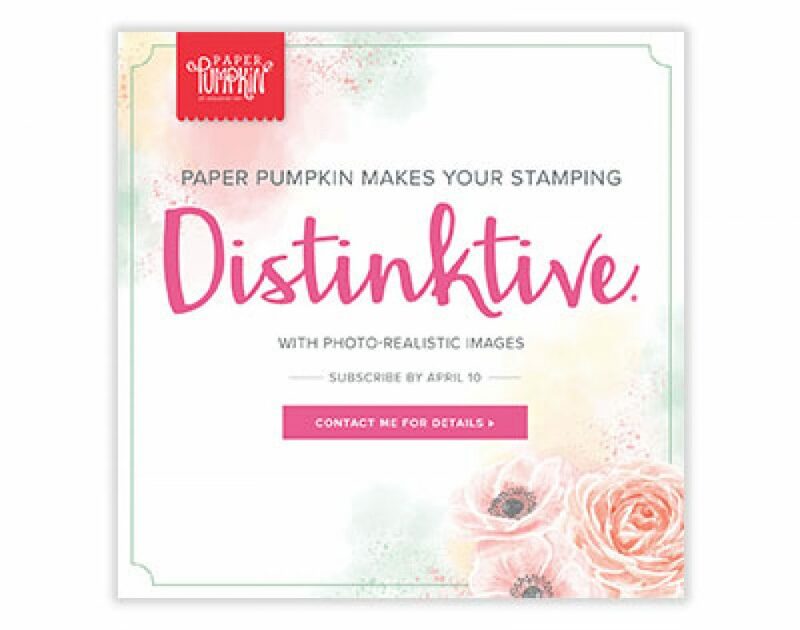 Coming up next month, a new Paper Pumpkin kit with one of Stampin’ UP’s beautiful Distinktive stamp sets, which is a photo realistic style of image, and a new monthly class by mail. I will also be opening up spots on my calendar for workshops, so if you live nearby and are interested in hosting one, please let me know! Check back later this week to see what April’s Class by Mail will be, when you can sign up for workshops, an d for other great stuff happening throughout the month. Previous Post Extra Stamp Set With March Paper Pumpkin!